When you think of Waldorf Astoria, the first thing that comes to mind is undoubtedly the brand’s famed flagship hotel in Midtown Manhattan, New York City. Internationally renowned for its exclusive dinner parties and galas attended by the rich and famous—having hosted high-profile guests since the 1930s—Waldorf Astoria New York has become a legacy that defines luxury hospitality. 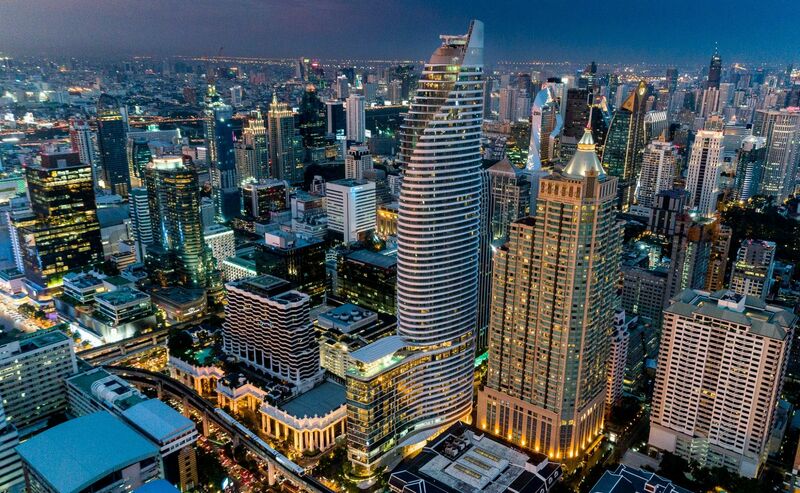 Now owned by Hilton with over 30 landmark destinations around the world, Waldorf Astoria Hotels & Resorts has made its debut in Southeast Asia with Waldorf Astoria Bangkok, a stunning property where New York glamour meets Thai culture. Conveniently located by the Ratchaprasong intersection, Waldorf Astoria Bangkok is the perfect jumping-off point to access the city’s iconic attractions, shopping districts and vibrant nightlife. With Gaysorn Village, Siam Paragon and CentralWorld just a footbridge away, the hotel offers guests unparalleled dining and shopping options in the heart of Bangkok. Cultural highlights such as the Charoenkrung Creative District, Grand Palace and Bangkok flower market are reachable within 10 to 25 minutes by car (pending traffic). Designed by award-winning architect André Fu and his Hong Kong-based design studio AFSO, the 171 guest rooms and suites at Waldorf Astoria Bangkok include ten 100 square-metre Astoria Suites, two 150 square-metre Waldorf Suites and an expansive 300 square-metre Royal Suite. All rooms are thoughtfully appointed with floor-to-ceiling windows, artisanal Thai decor and artwork, spa-inspired bathrooms with marble bathtubs, and bedding in luxurious mineral blue with mustard gold accents balanced against light and dark wood furnishings. Other elements contributing to a signature Waldorf Astoria experience are the Salvatore Ferragamo bath amenities and ultra-plush bathrobes, which deliver a sense of retreat for a relaxing stay. Waldorf Astoria Bangkok brings in the brand’s culinary legacy with three expertly curated restaurants; a lounge and two sky-high bars—each concept delivering a New York-inspired dining experience whilst incorporating Thai influences. An afternoon tea at Peacock Alley on the Upper Lobby is a highlight of our stay, which takes place at an elegant 70-seat lounge modelled after the New York original with sweeping views of the Royal Bangkok Sports Club. We recommend the blue Thai Orchidee tea to go with the delectable homemade pastries to enjoy your idle afternoon. A nod to the Waldorf Astoria legacy, three distinctive dining and bar concepts occupy the top three stories of Waldorf Astoria Bangkok: Bull & Bear, The Loft and The Champagne Bar—where every detail is designed by the Bangkok studio of New York headquartered design and concept firm, AvroKO. Specialising in grilled meats and seafood using custom-made grill, Bull & Bear boasts modern art deco-inspired interiors and unobstructed views of the Bangkok skyline. A few of our favourites from the menu include BBQ caesar salad, Bull & Bear chowder, jumbo crab cake and wagyu ribeye. For the perfect nightcap, take the gold leaf-covered staircase to a floor above, where mixologists at The Loft whip up cocktails inspired by the original 1935 Waldorf Astoria Bar Book. Perched on level 16 alongside a 24-hour fitness studio and Waldorf Astoria Spa, the designer infinity pool is where you’d want to spend the whole day at. The oversized day beds sitting in the water are not only extra-comfy for the perfect tan—they also make a dreamy backdrop for your Instagram feed. From the staff at the concierge to the restaurant team, service at Waldorf Astoria Bangkok was attentive, professional and friendly. Tatler tip: The Brasserie offers top quality breakfast buffet spread with a diverse range of culinary items on display, alongside an a la carte menu with delicious options, from fresh juices, healthy smoothies and your choice of egg—the soft poached egg with truffle creme and caviar is not to be missed.